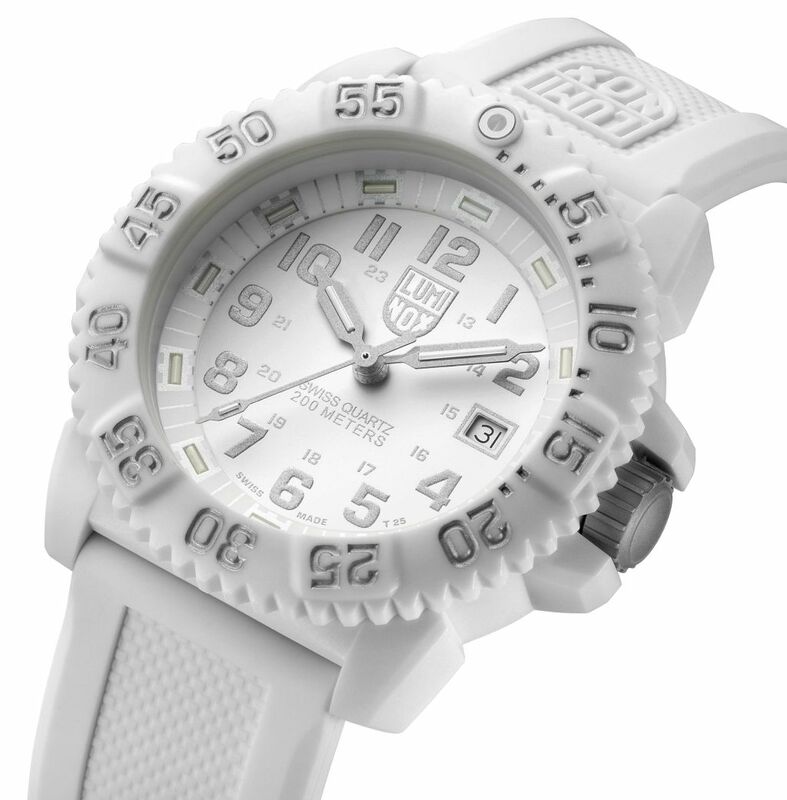 After the success launch of its stealthy Colormark Blackout watches, Luminox introduces this year a new model at the opposite end of the color spectrum—an all-new Whiteout variant, evoking extreme alpine conditions and the search and rescue professionals who face them on a daily basis. The Colormark 3057.WO has all the earmarks of the classic Colormark models that preceded it, including a 44-mm case, caseback and unidirectional ratcheting bezel made of molded fiberglass-reinforced polycarbonate; a highly scratch-resistant tempered mineral glass crystal; a double-gasket crown and case construction ensuring water resistance to 200 meters; and a signature polyurethane strap featuring the Luminox shield. The Colormark 3057.WO is Swiss Made and features Luminox Light Technology (LLT), a dial illumination system that glows for up to 25 years, regardless of exposure to light, so that the watch is always visible—whether in blackout or whiteout conditions.